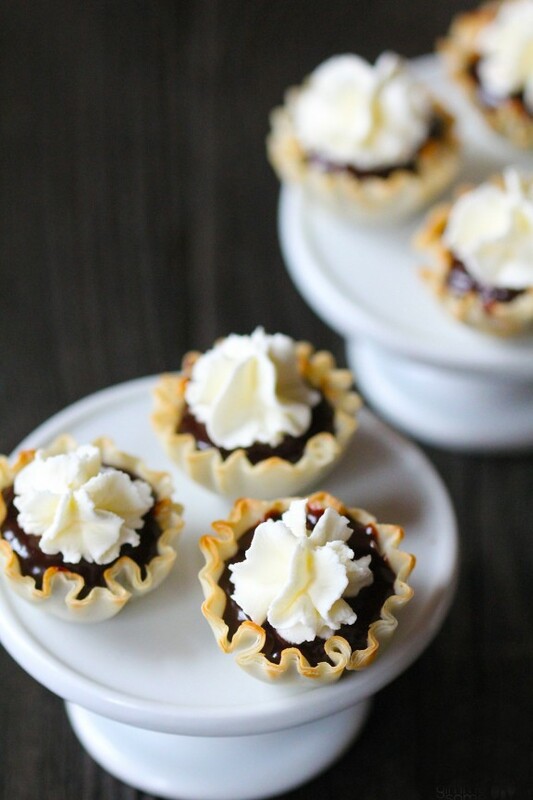 These easy little Mexican Spiced Dark Chocolate Tarts are one of my favorite new desserts to make! They literally come together in under 10 minutes and are sure to please a crowd. You can use dark chocolate, semisweet chocolate, milk chocolate or whatever you would like! 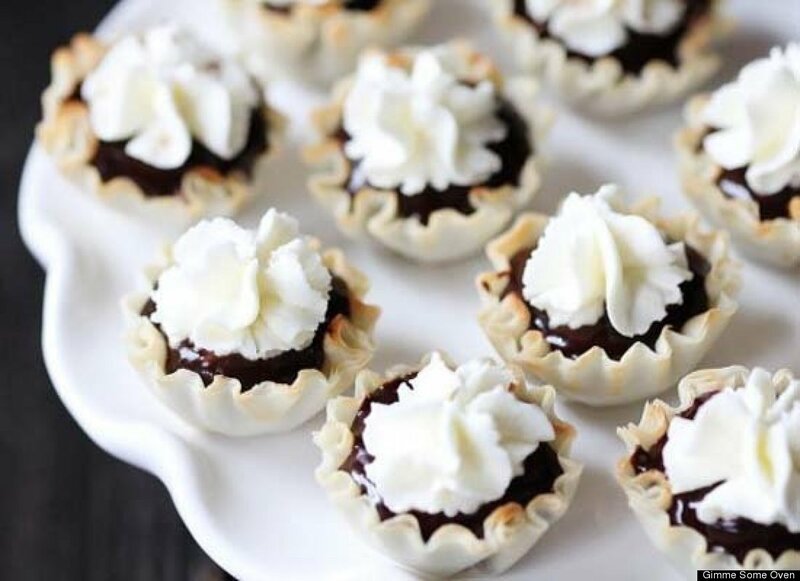 Just whip up a simple ganache, spice it with some cinnamon, chili and cayenne, and then use it to fill these simple phyllo shells and top with whipped cream. Super simple, but so charming and decadent that your friends will think they are très gourmet. Enjoy! 1. Heat the dark chocolate and heavy cream together in a microwave or double boiler until melted, stirring occasionally. Stir in the cinnamon, chili powder and cayenne until combined. 2. 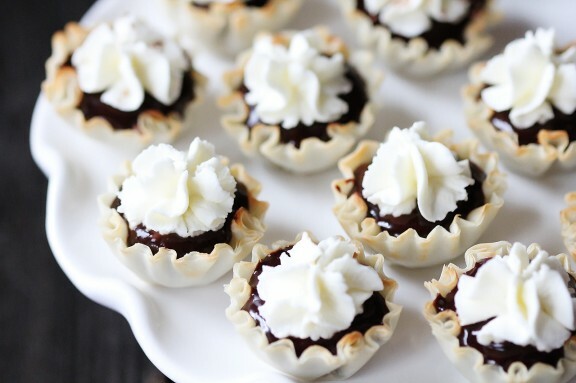 Spoon about 1 teaspoon of the chocolate mixture into each mini phyllo cup. Refrigerate or serve immediately. Just before serving, use a piping bag or a spoon to top each phyllo cup with a dallop of whipped cream.